Building your own firearm? 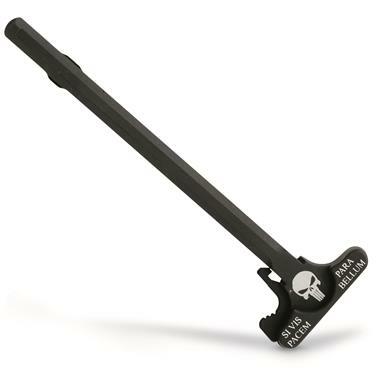 Complete your next gun project with this DoubleStar Punisher Skull Charging Handle. Precision made in the USA and fits mil-spec upper receivers. 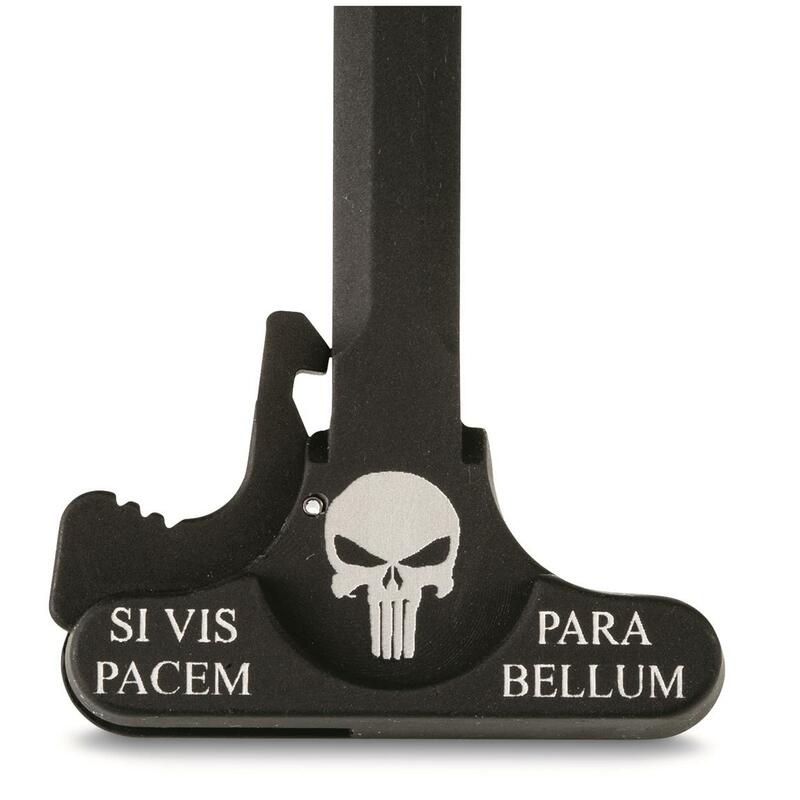 Black finish with laser engraved punisher skull.